The Czech Republic is a country, where more than 120,000 of our compatriots work and with which Ukraine builds trade relations successfully. In spite of some "nuances" in the stance of the leadership, this country took sides with Ukraine after the annexation of Crimea and the start of Russia's hybrid war in Donbas. The Czech Republic helps in difficult time for Ukraine to the best of its ability. Not always simple historical heritage links Ukraine and the Czech Republic. The Czechs, who survived the Soviet occupation, are supportive of the European and Euro-Atlantic aspirations of Kyiv. We have many common interests and many common tasks. Tomáš Petříček headed the Ministry of Foreign Affairs of the Czech Republic in mid-October last year. The 37-year-old Social Democrat has extensive diplomatic experience, including in the European bodies. For a few months of being a chief diplomat in his country, Petříček has showed himself to be a principled politician having a strong stance on key issues, in particular the Ukrainian issue, and ready to assert his opinion, including in the conversation with the head of state. On Sunday, Tomáš Petříček arrived in Ukraine on his first visit. 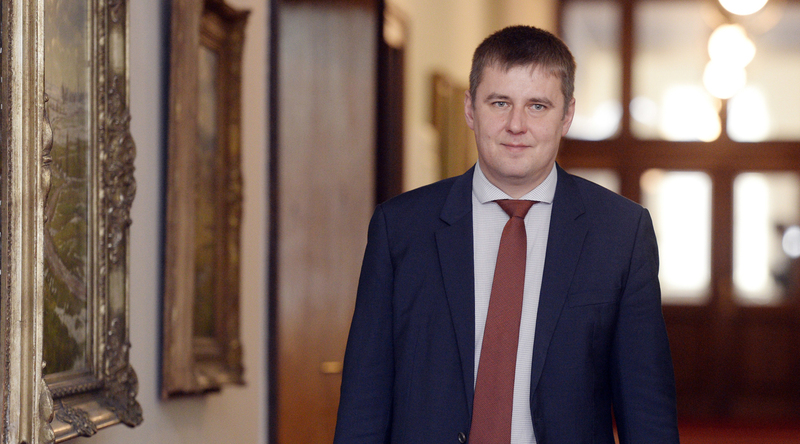 The day before, the Minister of Foreign Affairs of the Czech Republic gave the interview to Ukrinform. - Mr. Minister, this is your first visit to Ukraine in the capacity of the head of the Ministry of Foreign Affairs of the Czech Republic. What goals do you set for yourself, what topics do you plan to raise and with whom to meet? - Recent visit is for me the first ever to Ukraine. My delegation will hold talks with Foreign Minister Klimkin. I’m looking forward to meet representatives of Ukrainian civil society and also Mr. Mustafa Dzhemilev, who has my deep sympathy and admiration, not only because his brave protest against occupation of Czechoslovakia 50 years ago but also due to his tireless work for the Crimean Tatar community. Also I will discuss challenges and new opportunities on Ukrainian market with Czech business community in Kyiv. - Do you intend to visit any place in the east of Ukraine? I’m looking forward to visiting the city and port of Mariupol and the line of contact together with Minister Klimkin. My intention is to have the first-hand experience with the life of the population in Eastern Ukraine as well as consequences of a de-facto blockade of Azov Sea and Mariupol port. - For quite a long time, high rank Czech politicians have not visited Ukraine. Will the situation change in the nearest future? 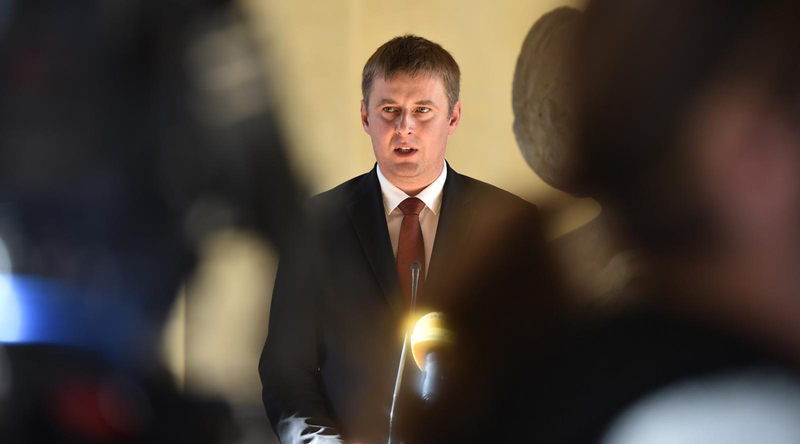 That’s not exactly correct – deputy chairman of the lower house of Czech Parliament Mr. Pikal took part in Holodomor Commemoration just a few weeks ago. Besides that, we have excellent relations on the working level with your diplomacy and I’m sure that my visit is just the first high-ranking visit of Czech politician this year. - How do you assess the state of the Czech-Ukrainian bilateral relations, in particular, in the trade and economic sphere? Our relations are already very close and productive, yet their potential is far greater. Particularly in trade, the Czech business is still not fully aware of the opportunity that a big Ukrainian market and implementation of Association Agreement/DCFTA represents. We are making efforts to develop mutual economic ties, and it is not unsuccessful. Last year the trade turnover increased by more than 15 percent. Some investors are discovering the Ukrainian market as an alternative to the Russian one from which they decided to leave. In my opinion, we can expect the presence of Czech business in Ukraine to be more significant in next years. - Your visit is dedicated to, among other things, to the 10th anniversary of the Eastern Partnership program, adopted, as is known, during the presidency of your country in the EU. In your opinion, is this program developing successfully enough? Well, many things in Europe had happened since 2009 and this partnership has gone through its share of difficulties. And yet, it is delivering beyond what we expected 10 years ago. For me, this unique partnership is one of EU’s best foreign policy initiatives. We base our partnership on shared values such as democracy, Rule of Law, or human rights, and on every country’s right to choose its own future. Political transformation may not be beyond the point of no return, and there is a lot of business unfinished. Most citizens of the six countries, though, share what we call European values and a European identity, which is a great connecting factor. Free Trade Agreements with Ukraine, Georgia, and Moldova inspire reforms in many areas and provide impetus to economic, social and regional development. Partner countries get access to the EU market of over 500 million customers and, more importantly, to a market with clear rules and quality standards. The EU is already the biggest trade partner for five EaP countries, for Belarus the second biggest. And trade volumes are steadily growing. So yes, I do believe the program is a success. - The EU is actively helping Ukraine in carrying out reforms, both at the level of advisers and financially. Please tell us about the programs in which the Czech Republic is involved. The Czech Republic is a long-term supporter of Ukraine. Since 2014, Ukraine has in sum received a humanitarian and development aid amounting to 8 million euros. Our development projects focus mainly on education and healthcare. For example, we are providing financial assistance for the educational reform or to the relocated universities from Donetsk oblast. In the area of democratic transformation, we run projects on media literacy and we also support the human rights activists from occupied Crimea. Our humanitarian aid helps the people living in proximity to the contact line. I know that, for example, summer camps for traumatized children are very successful. - At a meeting of NATO foreign ministers in Brussels on December 4-5, where Ukrainian Minister Pavel Klimkin was also invited, the question of the prospect of Ukraine and Georgia membership in the alliance also was in the air. How do you see such prospects? - In Brussels then you said that “the Russian threat and hybrid actions in the east of Ukraine, in the Sea of ​​Azov and in Georgia are undermining European security.” What contribution can Prague make and what it does to contribute to countering such threats? I think the question rather is, how we can help each other. The Russian military and hybrid pressure are being intensified and diversified, esp. vis-a-vis its neighbourhood as well as wider Europe and we are determined to counter them. This requires more resources, new capabilities and, importantly, more collective efforts, including in improving situational awareness and coordinating our response. Ukraine has been turned in Russia´s battlefield not only in a classical military sense but also in applying hybrid methods. The Alliance should be also on the receiving side of expert advice and information/experience sharing. Generally, partnership and consultation on our activities is an obvious choice. The Alliance, in its turn, can support Ukraine in specific domains like cyber, strategic communication or strengthening the resilience of the population by supporting independent media or disclosing fake news, for example. And these are precisely the issues we focus on in our cooperation with Ukraine, either bilaterally or e.g. through NATO - Ukraine Hybrid Platform. - In neighboring Germany, there is an active debate over the Nord Stream 2 gas pipeline. The Czech Republic practically does not participate in it either because of the fact that it is not directly affected by this pipeline, and because the Czech companies do not participate in the project. And yet: what is the position of Prague on this issue? Our position is very much the same as in any other project – far more important than how many pipelines will be built is that EU norms and legislation will be respected. The Czech Republic is part of the EU gas market, where all players must stick to the rules. And last but not least all the gas, which is being consumed in Czechia comes from the spot market in Rotterdam. - It’s no secret that the position of the Czech President often differs from that of the Government and the Foreign Ministry in terms of Ukrainian politics and Russian politics. Such a “split” exists, in particular, in the approach to sanctions: Miloš Zeman against them, the government and the Prime Minister Andrei Babiš - for. Does this situation bother you? Do you feel any pressure? My President´s opinion is that any sanctions as a foreign policy tool do not work is consistent. However, it is the government of the Czech Republic, which is responsible for the foreign relations of our country. Moreover, all the highest representatives of our country including the president agreed during the meeting in September 2018 that the reasons why the restrictive measures were introduced are still in place. - A large and very active Ukrainian community lives in the Czech Republic, many Ukrainian specialists come to work in your country. How do you assess the overall situation in this area? Ukrainians are the largest national minority in the Czech Republic and I’m glad that they have found a new home in our country. In addition, several thousand young people studies in Czech universities and this is particularly promising for our cooperation in the future. - The other day the Czech government decided to expand the staff of employees involved in the consideration of applications from Ukrainian citizens, since the quota for Ukrainians, which is currently 20 thousand people a year, can be doubled. How efficient of "Program Ukraine” which was launched in 2016? Thanks to continuing economic growth the Czech Republic labour market has a high demand for skilled workers, which is not possible to satisfy from domestic resources. This opens a possibility for Ukrainian workers, who are considered as skilled and hardworking, to obtain new work experience from various (usually high tech) companies in the Czech Republic, which can be later used in Ukraine. Unique and highly successful facilitation program in use allow applicants from Ukraine to apply for employment residency permits (so called labour cards). Current annual capacity is 21000 persons. The Czech Government is considering expanding the quota to 40 000 persons annually, however no final decision has been made yet.